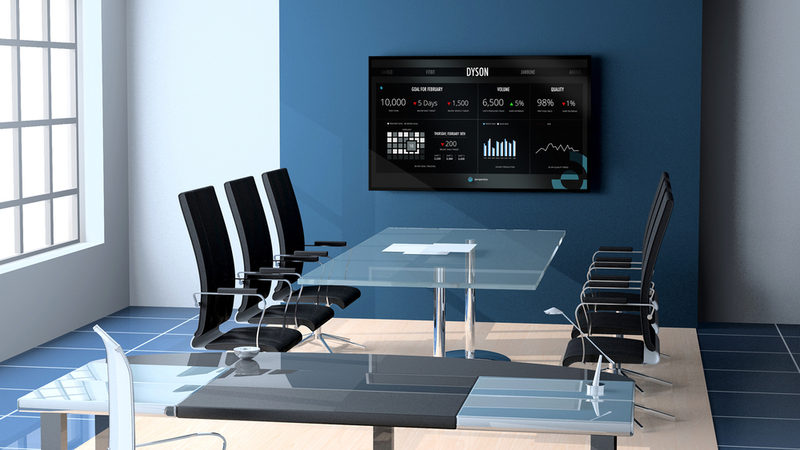 The Situation Room is an Elementum product that allows our customers to build large-scale video walls to display and interact with data from our apps. The wall is another form-factor; we design Situation Room screens for each app in the same way we create specific designs for mobile and web. As the lead Situation Room designer, I created screens for the apps I worked on, but also led our team in creating patterns for all app screens, designing animations and screen transitions, enforcing consistency across screen designs and communicating our long-term design vision for Situation Room to the rest of our company and our customers. As the designer for Elementum's Perspective app, I designed screens for Situation Room that would highlight key metrics and issues for our customers. 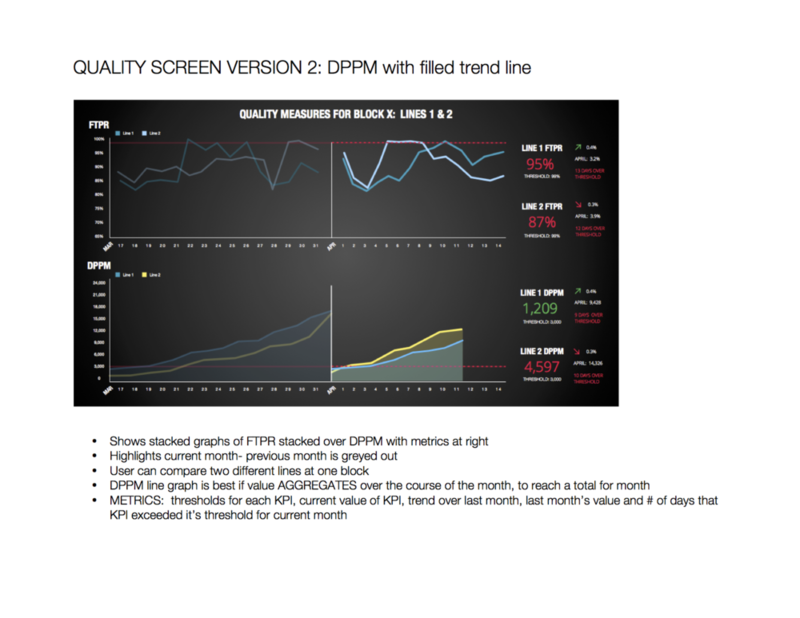 These screens provide visibility into key supply chain operations metrics including inventory levels, factory output and manufacturing quality. Some customers had TV walls displaying multiple screens and they wanted all of the screens to display content related to one issue or location. Others wanted each screen to function independently. We released The Situation Room before we were able to build the Remote App to control it. 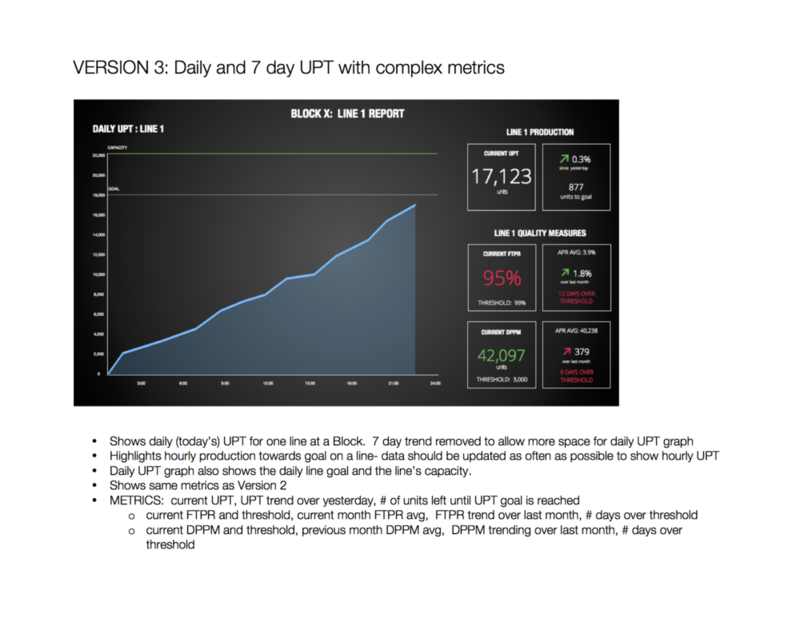 In order to display the variety and amount of data customers wanted we chose to "cycle" content on each screen. Cycling needed to be defined carefully so customers could interpret the screens without screen transitions being distracting, too fast/slow, or nauseating. The goal of this product for users was large-scale visibility- literally. Some of the TVs that displayed our screens were very large, which isn't forgiving. "No Data" or small data values could lead to huge sections of blank screen if designs weren't well thought out. We had no control over the environment surrounding the screens. 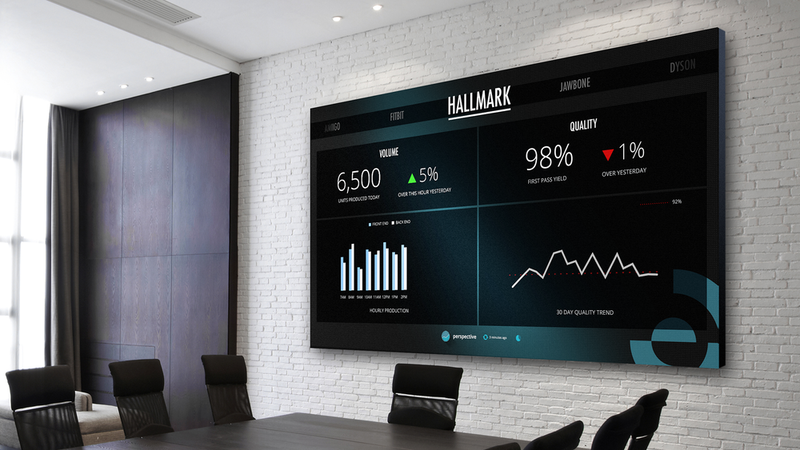 Some customers configured video walls that were very far away from where users were sitting, making it difficult for users to see the data being displayed. Some customers had content cycling on one TV screen while others had 20 TV screens, each showing one content screen. Users couldn't touch or click directly on the screens. Users have come to expect a level of touch interaction with technology that wasn't possible in The Situation Room. Users needed to be able to see and draw conclusions from the screens while standing 30 feet away, yet they also needed enough detail on the screens to make them meaningful. Since our remote control app wasn't fully implemented, I focused screen designs on either high level visibility of one factory or company, or real-time alerts of problems. 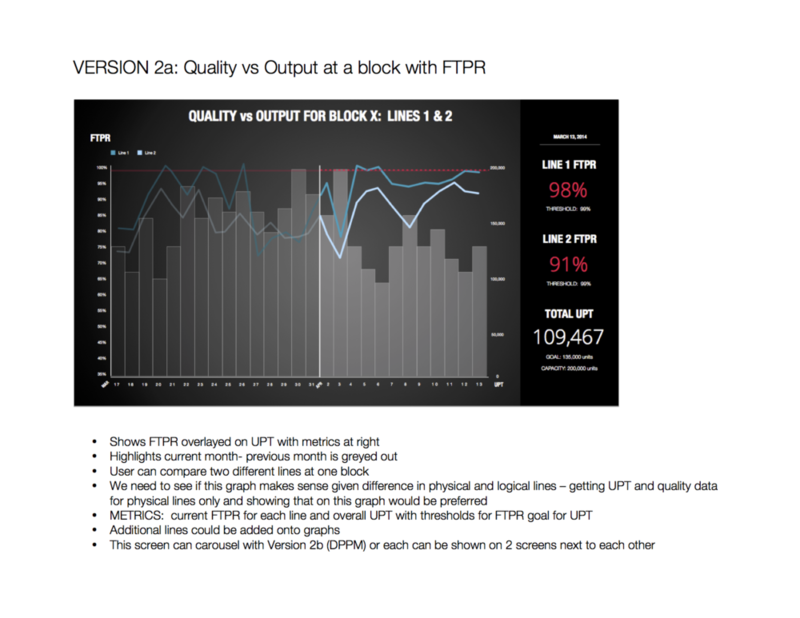 I experimented with showing two metrics on one screen to help usersidentify any correlations in their data (for example: production output metrics may consistently be higher when quality metrics are down) but user feedback indicated that this was too complex. I then limited content screens to showing only one type of metric. Cycling was based on a counter that our engineers built and all screens cycled simultaneously or remained static. We displayed a "cycle indicator," much like a loading indicator, showing the user when an screen would transition.